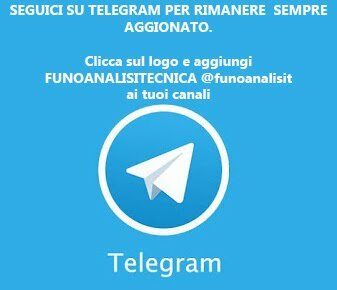 Those who read our articles frequently know that we at FUnoAnalisiTecnica have always highlighted the impressive performances of the Ferrari PU, since last season when the engine of the Italian Team was upgraded in a way such that it substantially reduced the gap with the one of Mercedes (both in terms of top speeds and in terms of energy recovery). Even during this season, despite the opinions of many who claimed a substantial superiority of the German PU, we always pointed out the great engine potential of the SF70H. The Power Unit has also to be considered as the initial key of success for Ferrari, for this reason: given the lack of aerodynamic efficiency of the SF70H, in order to able to compete on an even footing it’s important to have a very performing Power Unit. Why do I say this? Because if you are forced to generate downforce from the front and rear wings, you are also forced to eliminate as much drag as possible. Ferrari indeed at the beginning of the year, thanks to a Power Unit as performing as the one of Mercedes during the race and slightly inferior in the crucial parts of the Quali, evolved then in Spain with an increase of 10 HP to be exploited both in Quali and during the race (outperforming so the one of Mercedes), has been able to generate as much downforce as needed from the wings without losing performance. 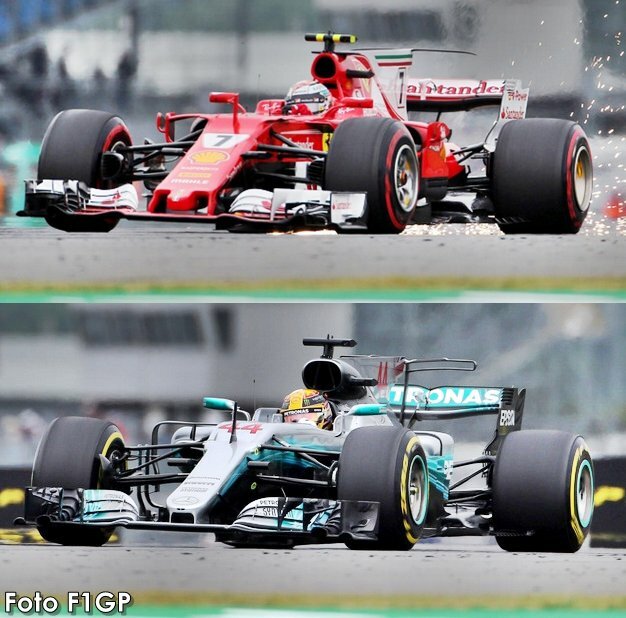 A little step back: for those who don’t rememeber it, in the Spanish GP both Mercedes and Ferrari brought on track their first bunch of updates to their Power Units. The German Team mainly focused its attention on the improvement of the reliabilty of the turbocharger, while Ferrari, as said above, increased its performances by 10 HP, in addition to the 25 HP already added during the winter. The Power Unit Ferrari EVO 1 introduced in Spain, however, showed its full potential in Canada, given that in Barcelona, due to an issue occured during the Free Practice 3, Vettel has been forced to race with the old engine (In Monaco, the Grand Prix between the Spanish and Canadian one, the PU performances are not so faithful to the reality). 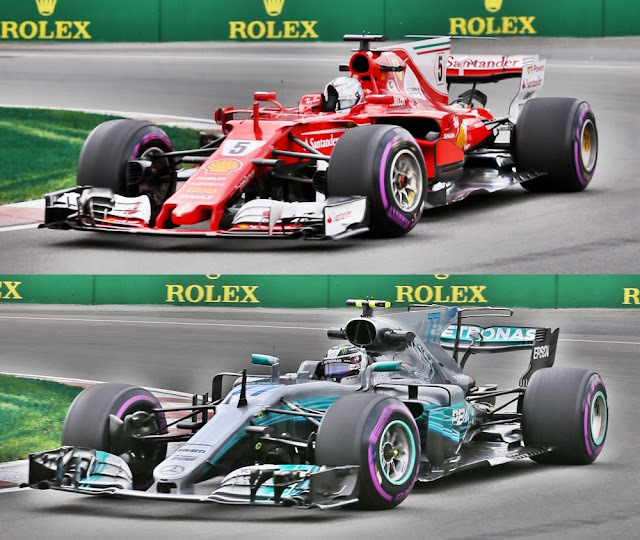 In Montreal the SF70H of Vettel, with a slightly higher downforce setup than the one of the Mercedes W08, has been able to outperform Lewis Hamilton by 1 tenth on the long straight, proof that the Power Unit of Ferrari was able, in that moment, to generate some HPs more (5-10) than the one of the Silver Arrows. "As already pointed out in many meetings as well as in the Technical Directive TD/004-17, the Technical Guidelines prohibit the use of oil as a combustible; the one and only combustible that can be used is fuel, as indicated in the Article 19 of the Technical Guidelines. Altough the Guidelines do not specify in detail the characteristics that the oil used must have, the FIA will consider every attempt to use additional materials as a mean to improve combustion as a violation of the Technical Guidelines." The FIA during the eighth weekend of the season withdraws some samples of oil from the cars. And the rumors of these weeks bring me to say that the only Team that had to modify the management of its PU is the Scuderia Ferrari. This is also confirmed by the fact that the Italian Team don’t use the “magic button” that in the previous races provided some additional HPs (almost 15HP). We go in Austria where Vettel goes on track always with a higher downforce setup than both Mercedes, more downforce than what we saw in Canada, but not too much to make us think about a loss in terms of lap time given the outstanding performance on the long straight of Montreal. Instead in Quali, Vettel loses 2 tenths of a second (data are not based on the Best Sectors) on a straight where drivers go flat-out for almost 10 seconds (the one that leads to turn 4). A sudden turnaround with respect to Canada and Spain. Tenth weekend of the season: Silverstone. A track on which the aerodynamic efficiency plays a major role, or a track where a very performing Power Unit can improve the performances of the cars with a lot of drag. 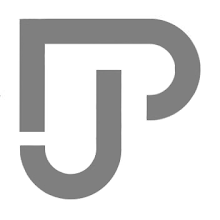 Ferrari is missing both factors, the first for an inital “strategic” choice in the project, the second for the Technical Directive 4 imposed by the FIA before the Grand Prix of Azerbaijan upon suggestion of James Allison. There are also some engine updates: Ferrari brings a new Power Unit that ensures 10-15 HP more bringing back the Italian Power Unit to the power levels before The Azerbaijan GP. 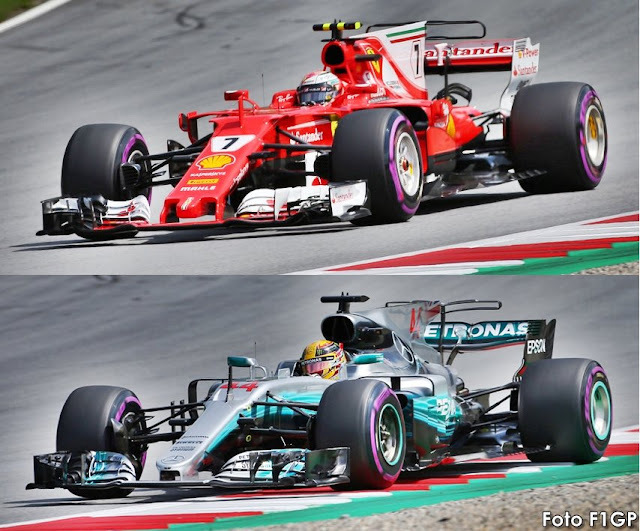 The problem is that Mercedes brings its own second development of the engine, tryng to improve the performance, with a gain in terms of HPs greater than the one of Ferrari. The Italian team chooses, for the FP1, a medium-high downforce rear wing coupled with the double monkey seat and the C Wing (only on the SF70H of Kimi Raikkonen). This setup is useful to reduce the impact of the closing, following a request of clarification of the FIA before the Austrian GP, of the “knife” at the beginning of the bottom of the SF70H. This component, at a first glance, could seem not so important in terms of downforce, but actually helps to seal the bottom and to use high rake setups. Without this “knife”, Ferrari is forced to slightly diminish the rake on the SF70H to avoid substantial losses of downforce. This however results in a loss (less substantial) of rear downforce that Ferrari tries to recover by using a different (medium-high downforce) wing. This setup doesn’t however work given the huge loss of speed and time on the straights with respect to Mercedes. Ferrari, in fact, opts for the setup with lowest downforce of the three tried over the weekend. If we look at the aerodynamic setups used by Ferrari and Mercedes in Silverstone, we don’t see any differences with the ones used in Canada. However, if in Canada Ferrari was quicker than Mercedes (1 tenth), in Silverstone, on shorter straights than the Montreal one, Ferrari has been slower (1 tenth if we sum the gap in the two main straights). According to the information we gathered, the PU advantage that Ferrari had in Canada, has been mostly wiped out by the Technical Directive n°4 on the use of the oil and only a bit by the update brought by Mercedes on the home track. In the current situation, in which Mercedes seems to have improved the race pace, it’s even more important to take the Pole Position on Saturday and to start ahead. Anyways, with 20 HP less and a less aerodynamically efficient car, on many tracks (Budapest could be and exception) it could turn out to be very difficult to get one spot in the first row. This obviously waiting for the new upgrades of the Power Units (both Ferrari and Mercedes) that are going to be brought on track in the last races.